I brace myself for the jolt as we bounce over another wave and are momentarily airborne. Scudding around a sun-kissed Southampton Water at 32 knots is exhilarating but this evening is about serious work: I am a passenger on board our team’s Rigid Inflatable Boat accompanying my Fisheries Enforcement Officers on a routine patrol searching for poachers of sea trout and salmon. Southampton Water is a gateway for these iconic and threatened species. They are heading for the estuaries of the Hamble, Itchen and Test having almost completed the homeward-bound leg of their epic migration. They have evaded natural predators; escaped the submarine jungle of nets set by a multitude of international sea fisheries; and survived the physiological challenges of life in the north Atlantic. But, now they face a sinister hazard - the nets and grapple-like hooks of unscrupulous criminals, intent on illegally harvesting these fish on a commercial scale, before they can spawn and perpetuate their kind. All for personal greed. Not for sport. No respect for their staggering beauty. No awe of their ancient life-cycle. No thought for the future of these depleted populations. We scan the water for small boats and come alongside several. The anglers we encounter this evening are enjoying their sport legally and we share anecdotes, advice and camaraderie only anglers can understand. One boat we recognise from afar and make a bee-line for it. It’s owned by a local angler who we’ve prosecuted twice before for illegally taking sea trout. He gives us a cool reception, not thrilled to see us again, but on this occasion he’s not equipped to net salmonids so we quickly leave him alone to enjoy his sport. Searching for illicit fixed nets, we pootle between moorings, zigzagging between jetties and gaze through pier-piles. Nets can be affixed quickly by skilled fishermen and left, the booty to be retrieved several hours later. We pull-up alongside a tatty boat: home to a man we have reason to believe may be poaching salmon and sea trout. He’s not home this evening. Like a robber camping in the bank's vault, he lives 'on-site', moored-up in the estuary for the summer, in the path of migratory fish - they come to him! We haven’t caught him at it, yet, but our network of local anglers is keeping an eye on him. High visibility patrols such as this are a small but important part of our armoury in the battle against poachers – Prevention....Intelligence....Enforcement. It is a welcome opportunity to socialise with legitimate anglers – our customers - and sends a message to those engaged in illegal activities that we are active both on, and off, the water - even if we didn’t meet any poachers this evening, word gets around and acts as a deterrent. To those non-anglers we meet, it raises the profile of fish and fishing. We recruit the public to be our eyes and ears – to report suspicious activities to us. This is a vital element of our Salmon Watch campaign, a concerted approach to enlisting anglers and the public to help us target our enforcement work. Anglers we meet are overwhelmingly supportive of our work – poaching erodes the natural resource on which legit angling depends, including tackle and bait outlets, local hotels, river keepers who are employed to manage their fishery and, of course, the fanatics around the world who are addicted to fly fishing on Hampshire’s famous rivers. 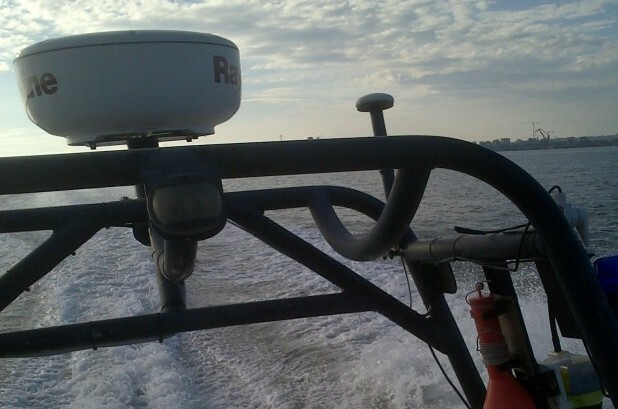 We conduct a range of overt and covert patrols, deploy covert surveillance techniques and work closely with police, Southern and Sussex Inshore Fisheries and Conservation Committees (IFCAs) and others. We share intelligence in order to target our resources where the risks to fish are highest. We didn’t catch any one poaching this evening, but you can help us by reporting suspicious activities to us directly on our hotline 0800 807060 or to Crimestoppers 0800 555111. Environment Agency ‘Fisheries & Biodiversity Team Leader’, Tim Sykes has worked for the Environment Agency for over 18 years His multifaceted role includes fisheries enforcement, river restoration, fish/eel passage, sustainable development, biodiversity and non native species. You can find out more about the fisheries work of Tim Sykes and his Environment Agency colleagues on Twitter.